Meet Oliver. Oliver is in search of a new home. Here is the information received about Oliver. 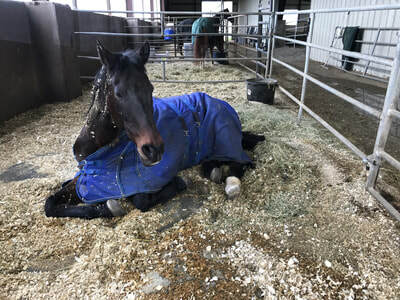 "Description and history: Dark bay Thoroughbred gelding, approx 32-33 yo, 16.1 hh. Former competitive jumping and lesson horse, no tattoo or papers. Rescued in 2007 from a riding school where he was considered no longer suitable for lessons. I rehabbed him by hand-walking and rode him very lightly for 3 more years, but fully retired him in 2010. 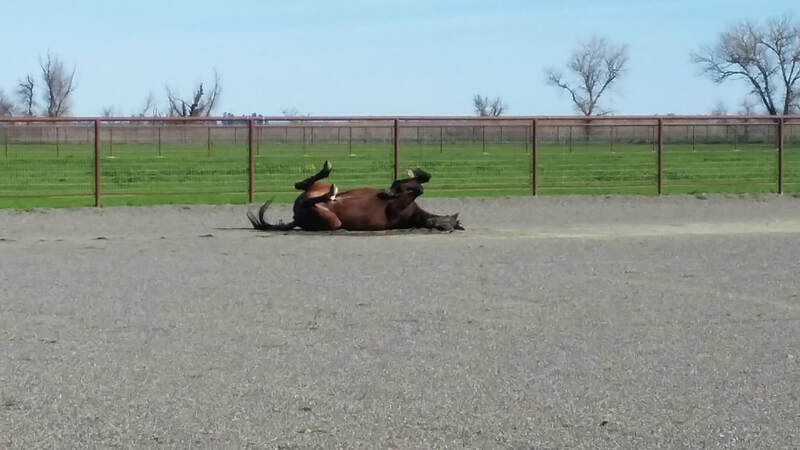 He is no longer suited for riding. Health: gait is uneven but unchanged for the last 10 years. No known health problems, regular vaccines and dental exam (teeth floated as needed) 2x/year. Slow eater but can chew hay. Low body condition ("hard keeper"), but his vets are ok with this and prefer he stays on the lighter side to keep stress off of his legs. 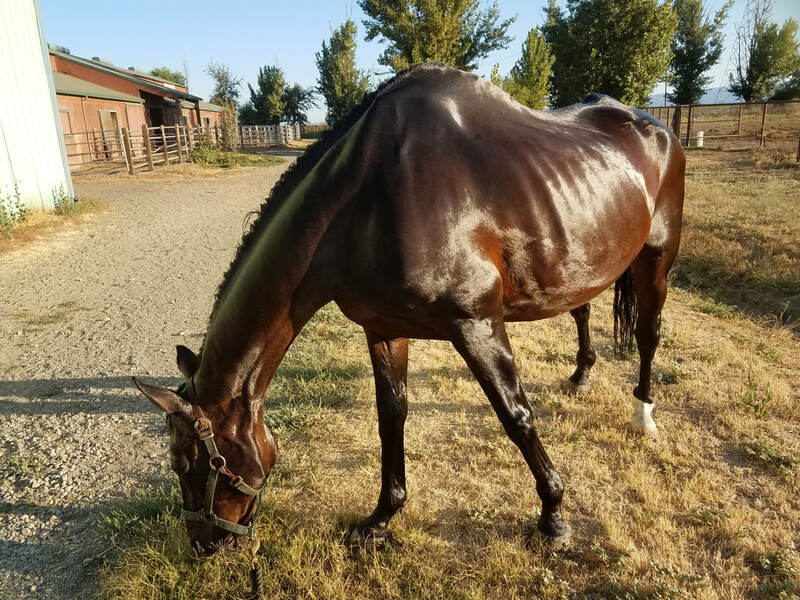 Temperament: Friendly and gentle with people of all ages, well-behaved on a lead-line (note: he *is* a Thoroughbred and will very occasionally spook). Will perform a bow/curtsy trick for treats (not at all picky about food and treats). Companionship from another horse is essential - he tends to become very attached to a "best friend". Good around dogs, ponies, and goats, but terrified of mini horses! Tolerant of bathing and blanketing. He has always "weaved" but does not crib. He would make an excellent pasture pet and companion for another horse - ideal situation would be a paddock with 1-2 other horses. He had to be removed from a group pasture because he eats too slowly and could not compete well for food; however, he could not be separated to feed, because he became too anxious." Oliver is located on the outskirts of Davis, CA. If you are interested in Oliver, please contact AAE.